Arthritis is a disease characterized by inflammation in one or more joints in the body. It is the most common form of disability in the U.S., affecting more than 1 out of every 5 adults.1 The two most common forms of arthritis include rheumatoid arthritis (autoimmune disorder) and osteoarthritis, but there are more than 100 rheumatic conditions that arthritis describes. For those suffering from arthritis it can affect nearly every facet of their life depending on the severity of their disease, from dressing and feeding oneself to being able to exercise to being able to operate a vehicle. 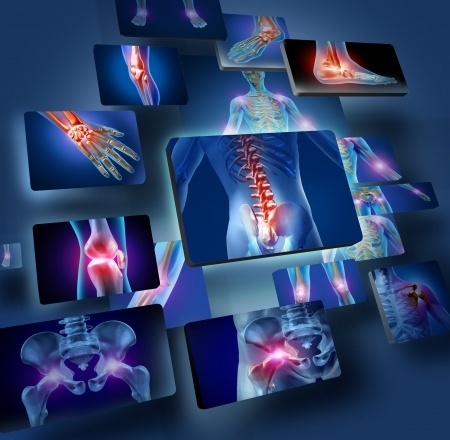 One thing all arthritis sufferers have in common is they want the pain, inflammation, and suffering to stop. It is commonly believed in our culture that arthritis is just part of getting old; there's nothing one can do about it. This is not true. Although some severe, advanced forms of arthritis may require modern-day medical intervention, many mild to moderate forms respond very well to lifestyle medicine, with some forms going away completely. The foundation to this approach involves adopting a whole foods, plant-based diet and engaging in regular physical activity. To learn more about approaching arthritis without using side-effect-prone medications, read the following articles highlighting the benefits of plant-based nutrition and lifestyle medicine. 1 Barbour KE, Helmick CG, Theis KA, Murphy LB, Hootman JM, Brady TJ, Cheng YJ. Prevalence of doctor-diagnosed arthritis and arthritis-attributable activity limitation-United States, 2010-2012. MMWR 2013;62 (44):869-873.